This is the first time that election to a Lok Sabha constituency has been cancelled due to the overuse of money power. 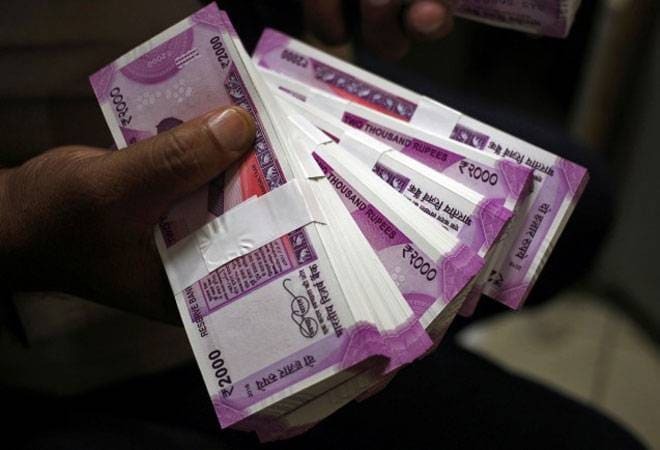 The Election Commission of India (ECI) has cancelled the election to 8-Vellore parliamentary constituency in Tamil Nadu after over Rs 11.48 crore worth unaccounted cash was unearthed during an income tax raid at a DMK leader's house. This is the first time that election to a Lok Sabha constituency has been cancelled due to the overuse of money power. As per the EC, the Income Tax Department conducted raids at the residence of Durai Murugan, MLA and Treasurer of DMK Party, and his son Kathir Anand, who is contesting from Vellore parliamentary constituency, on March 31. The I-T sleuths had also conducted searches at Kingston Medical College, which is run by the Durai Murugan Educational Trust. The EC action comes after a police complaint against Anand and two DMK functionaries on the basis of I-T raids on April 10. "A large amount of cash and other incriminating material had indeed been shifted out of the college premises while the teams were being denied entry," the EC said in a statement. The I-T Department also conducted searches at certain premises of close associates of the candidate Kathir Anand on April 1, including Damodaran, the brother in law of Srinivasan, a DMK functionary, and seized Rs 11.48 crore, most of which were packed in plastic packets with ward wise details. "In addition, unused labels, loose sheets with details of ward-wise breakup of voters and documents related to Kingston Engineering College were found from the residence of Damodaran," said the EC. The EC claims Srinivasan's statements confirmed the cash was meant to influence voters in favour of DMK's candidate. "The fact that the claimant does not have any explained source of income and that the documents found with the cash pertain to an institution run by the family of the DMK candidate lays bare the nexus between the candidate and the sums so found," revealed the EC. The EC said the current electoral process in the said 8-Vellore Parliamentary Constituency in Tamil Nadu had been seriously vitiated on account of unlawful activities on behalf of Kathir Anand and some DMK members. After the EC request, President Ram Nath Kovind issued the order rescinding the polls. Meanwhile, DMK has alleged it was an attempt by Prime Minister Narendra Modi to "besmirch" the party using the EC. "It is a murder of democracy. Modi has planned to wreck the polls by allegedly misusing the Enforcement Directorate, CBI, Income Tax and the Election commission," DMK President MK Stalin told reporters in Tiruchirappalli, PTI reported. DMK Treasurer Durai Murugan said cancelling of the poll was a "murder of democracy." He added it's nothing but a conspiracy by those who could not face them in elections. The ruling party in the state, AIADMK, has demanded that Anand be disqualified from contesting the poll over the poll code violation.